World-famous Twitch streamer Tyler “Ninja” Blevins is out $500 after losing a wager with Fortnite streamer Reverse2k over a skillshot challenge on Monday. Reverse2k was playing Fortnite duos with Ninja. While spectating Reverse, Ninja proposed a wager: If the very next shot taken by Reverse resulted in a headshot with a sniper, Ninja would gift his channel 100 subscriptions. In the ultimate “challenge accepted” move, Reverse immediately dropped every gun he had except for a sniper rifle. He began taking fire from someone at the top of a crafted fort and had to quickly retreat out of sight to the bottom of his ramp. Reverse moved back to aim down his scope where he saw a player running toward the distant fort. Then, in a beautiful combination of intelligently predicting where an enemy would appear and having the greatest luck in the world, he fired the $500 shot. The opponent stuck their head up just in time to take a bullet to the dome. Reverse and Ninja began screaming in excitement and disbelief, and Reverse’s chatroom reacted just the same. 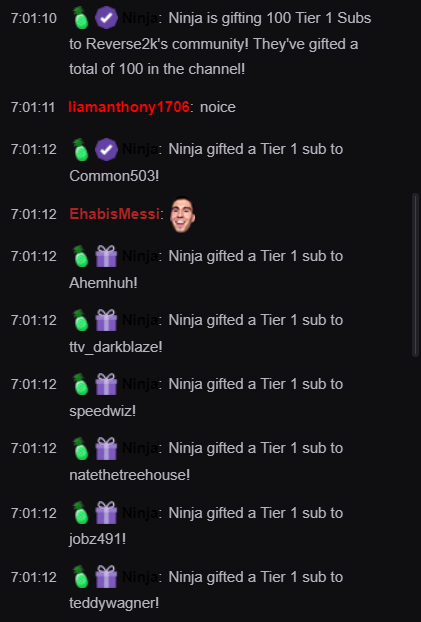 Sure enough, Ninja went straight to buying the gifted subs. 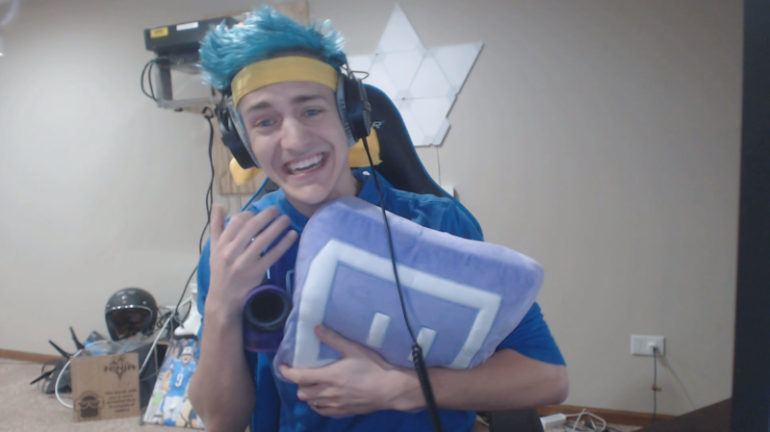 “That was… probably the fastest $500 I’ve ever spent,” Ninja said after sending the gifts. “That’s a good $500 spent, are you kidding me,” Reverse said, with his stream notification for new subscribers beginning to appear on repeat. The chances of Reverse being able to replicate that shot again likely aren’t high, but with 100 new subscribers to his channel, he probably couldn’t care less.